Merry Little Lights – Where Creativity Meets Concord & 9th! Hello! I hope that you had a good week! I’m up in PA and loving every minute of it! Like a little piece of paradise in the country! It’s the last visit for me for the season. I still can’t believe that it’s October already. Where has this year gone?! It’s time for my October Solo Post over on the Where Creativity Meets Concord & 9th Challenge Blog! 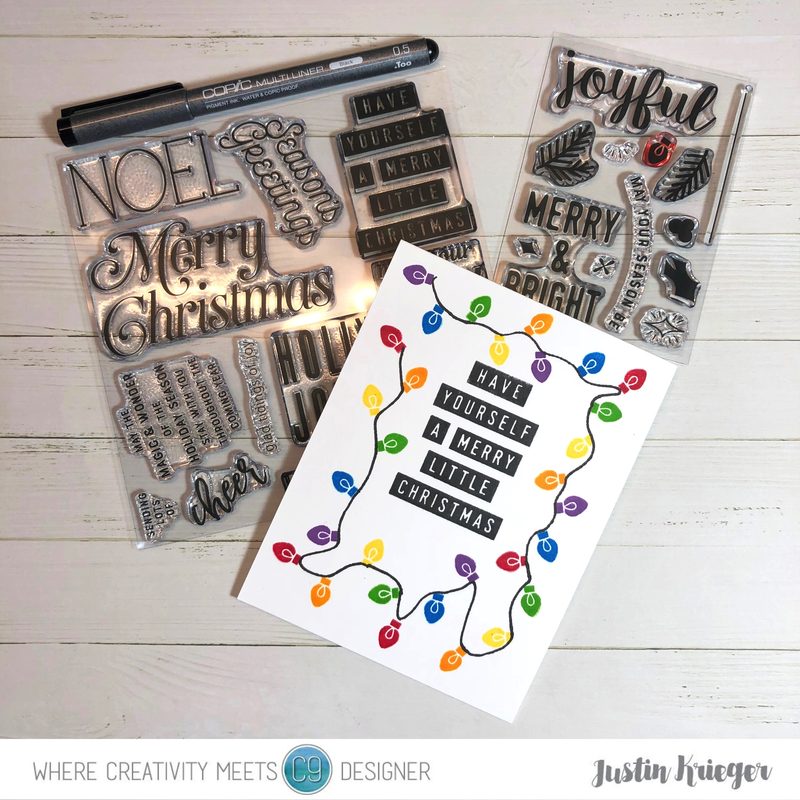 I just wanted to stamp so I pulled out the Concord & 8th Merry & Bright and Very Merry Sentiments Photopolymer Stamp Sets! Onto my card base of Neenah Solar White 110lb Card Stock I stamped the greeting from the Very Merry Sentiments in Gina K Amalgam Ink with my Mini MISTI so the I could stamp it a few times to make sure it’s nice and dark. I then used the Christmas Tree Bulb image from the Merry & Bright Photopolymer Stamp Set and stamped it in Lobster, Carrot, Sunflower, Jalapeño, Fish Tank and Sugarplum randomly. To connect the lights I drew a line with my COPIC Multiliner and the card is done! Quick, simple and a fun card to make! I hope that you like the card for my October Solo Post for the Where Creativity Meets Concord & 9th Blog! Don’t forget that you can follow us on Instagram and Facebook! We are getting ready to start our next challenge on October 9th, be sure to come back to see what the rest of my talented teammates have to inspire you! Thanks for stopping by! Have a fantastic weekend! !